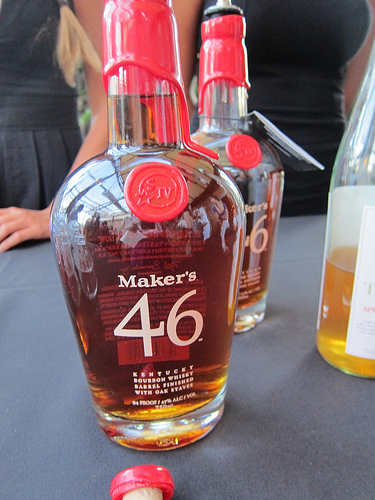 I recently attended another LA Times and Liquor.com Spirits of the Times tasting event. This time it was for artisinal spirits at Sadie in Hollywood. I’ve always loved the back patio at Sadie and there were four tables set up to taste. Before I even got two steps in, everyone said I had to go check out Pink Pigeon Rum. I’ve known about Pink Pigeon for a little bit as Kate Grutman from Formosa is also the Pink Pigeon ambassador. I tried the Chagossian Fight Song with Pink Pigeon rum, Soberano 8-year-old Spanish brandy, Cocchi Vermouth di Torino, orange bitters, Jerry Thomas’ Decanter bitters, Luxardo maraschino cherry. 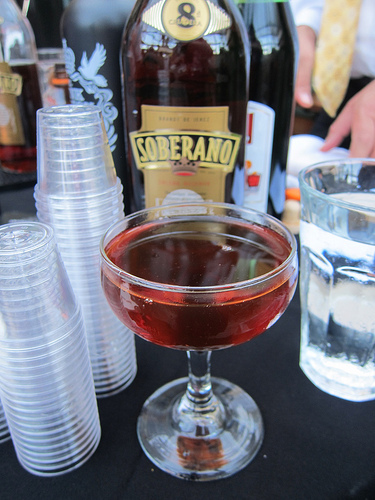 If you like Manhattan twists like I do, I highly recommend this drink. 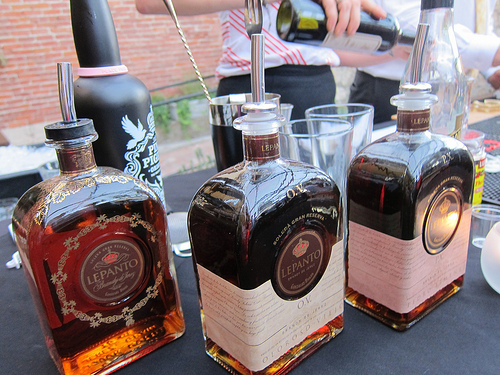 You were also able to taste the Soberano and Lepanto Brandy expressions neat at the Pink Pigeon table. Like the previous tasting I went to, not only were you able to try small bites from the restaurant, you were able to vote for your favorite cocktail. It was very close but I did eventually pick one which I’ll reveal at the end. Moving on to the tequila table. 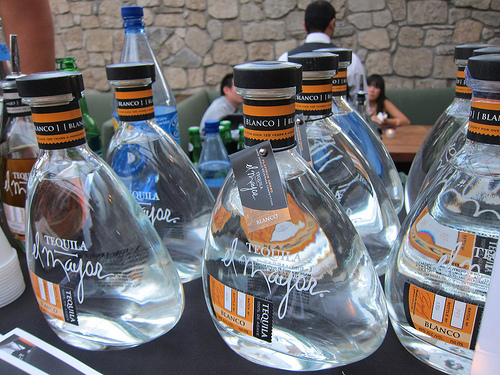 We tried the three El Mayor expressions; blanco, reposado and anejo. The rep really wanted us to try the reposado though I tend to go anejo first (and usually only) and she was right. I did like the repo more. The anejo didn’t have the depth I usually like. However, in general I wasn’t too into this tequila. And the drink wasn’t great. The Paloma called the for the El Mayor blanco, club soda, lemon-lime soda, lime and a pinch of salt. In general, every Paloma I ever had was made with grapefruit soda. Even Squirt would do. This was just too watery for an already watery tequila. I really wanted to advise people to drink it straight. 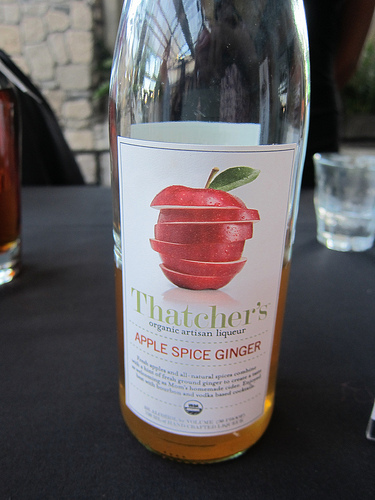 Well, if “artisan” is part of your spirit’s name, of course Thatcher’s apple spice ginger was invited to the tasting. First I tasted it neat and realized quickly I rather have it cold or at least with water. I was ready for a cocktail. They were making the Harvest Hatten (Maker’s 46, Thatcher’s Apple Spice Ginger, Martini & Rosso Rosso, Cherry bitters, Angostura bitters). It was served as a punch but I would have of course liked it up. I do realize it was a crowded tasting so I understand why they did serve it that way. Still, it was already quite watered down within the first hour. Like the failed Paloma, this was not a contender for best cocktail of the night. With that said, I bet it’d be pretty fine if I had it freshly made. The last drink I tried was the La La Land from Karlsson’s Vodka. Jaymee Mandeville from Drago Centro developed the recipe for them. And although it was pre-batched, the cocktail was freshly chilled before serving (take note, Thatcher’s). I really liked this summery drink made with Karlsson’s vodka, Aperol, raspberry & white pepper syrup, lemon, cucumber, mint and Bitter Truth celery bitters. 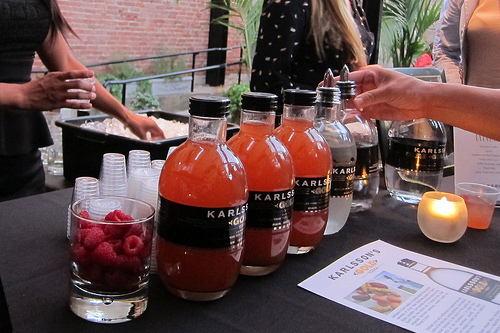 I have always thought of Karlsson’s as more of a savory vodka which is why it tends to go well with peppery notes. Enjoying it neat and chill with a fresh grind of black pepper is also ideal. And it seems most of the crowd agreed. La La Land from Karlsson’s won the best cocktail that evening though I actually vote for the Pink Pigeon’s Chagossian Fight Song. Both were great and I look forward to the next tasting. This entry was posted in alcohol education, alcohol tasting, bar stalker, bar stories, bars, bartenders, cocktail competition, cocktails, contest, events, hot bartenders, la, la cocktails, los angeles, spirits, the minty and tagged bourbon, brandy, el mayor tequila, jaymee mandeville, karlsson's vodka, kate grutman, lepanto brandy, makers 46, pink pigeon rum, rum, sadie, soberano brandy, tequila, thatcher's apple spice ginger, thatcher's liqueur, vodka, whiskey. Bookmark the permalink.